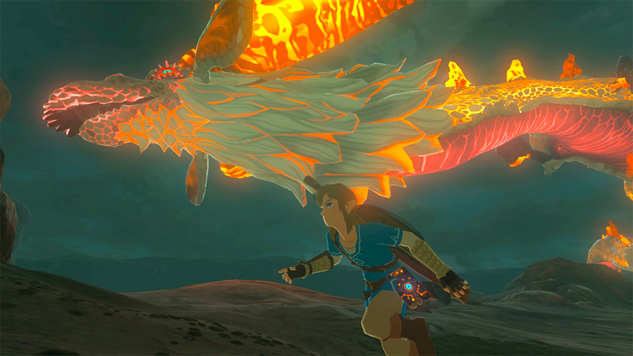 One of the most majestic and awe-inspiring moments I had in The Legend of Zelda: Breath of the Wild was something of a miracle in spoiler-dodging. I was stumbling along in the Eldin Mountains one day when I came across Dinraal, the lithe red dragon of the north, making his way through a canyon. It took my breath away. What I didn’t know at the time is that Hyrule is home to three regional dragons that represent their three goddesses (each themselves representing one of the three pieces of the Triforce): Dinraal for for the Goddess of Power, Din, an aspect of fire; Farosh for the Goddess of Courage, Farore, an aspect of lightning; and Naydra for the Goddess of Wisdom, Nayru, an aspect of water. As such, all three are tied specifically to environments that reflect their element. Dinraal is generally found in the northernmost strip of Hyrule above the Eldin Mountains and Death Mountain, where it’s hot. Farosh primarily sticks to the Faron region, where frequent rainstorms send out bolts of lightening in endless supply. And Naydra drifts through the Lanaryu areas that are filled with rain, lakes, rivers, and ponds. The dragons themselves are massive and very hard to keep up with. Before approaching any dragon to farm them for parts, you may wish to make some speed-boosting elixirs or meals, recipes for which you can find in our guide. Each dragon sheds very valuable materials necessary for upgrading armor and making powerful elixirs, but they can be hard to track down without knowing their spawn points and times. 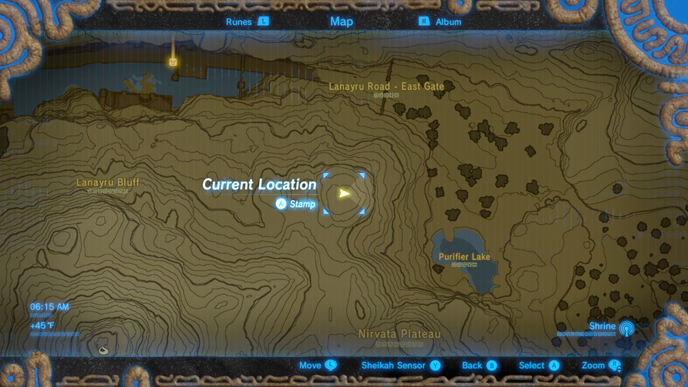 There are many guides out there but many of them seem to have conflicting times and spawning locations listed for the dragons, suggesting the best idea is to get to a known spawning point and camp out for a few days to make sure it checks out. If performed correctly, you should be able to use your campfire to farm a dragon for material every morning at 5 AM. Here’s how to do it. Unlike the other two dragons, Naydra doesn’t roam the Hyrule countryside until a sidequest, The Spring of Wisdom, is completed. The quest is triggered by speaking to Medda in Hateno Village. You’ll find Naydra at the top of Mount Lanaryu, covered in Ganon’s Malice. Upon freeing and defeating Naydra, the dragon will begin to make the rounds in Lanaryu and Necluda. I set up a campfire at this exact spot on the map and waited until dawn and at 5 AM looked towards Mount Lanaryu. 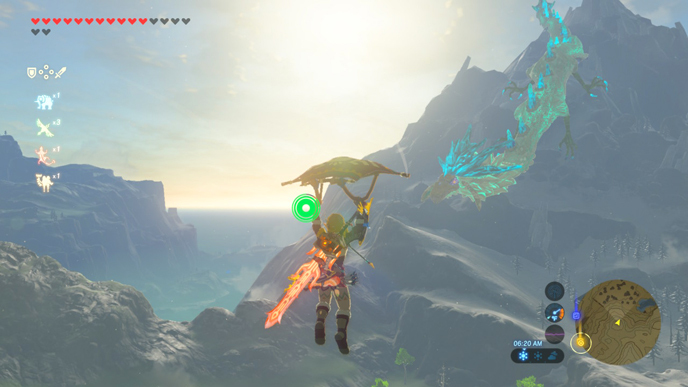 Naydra emerges, circles the mountain briefly, then descends towards East Gate Lanaryu Road. 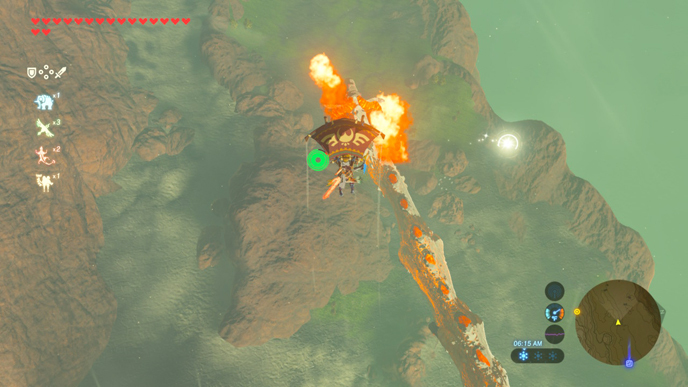 From there, you should be able to easily drift into the strong updrafts of wind that surround the dragon, and shoot an elemental arrow to break off a part. There are four different parts of the dragon that can break off, and you should aim depending on the specific material you need. 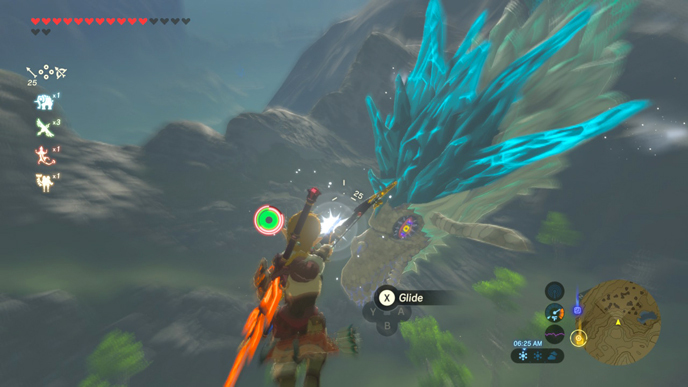 You can get a Naydra’s Scale by striking almost any part of the body, but the Claw specifically comes from hitting its claw, the Shard of Naydra’s Horn from hitting one of the horns on its face, and the Shard of Naydra’s Fang comes from hitting its mouth. 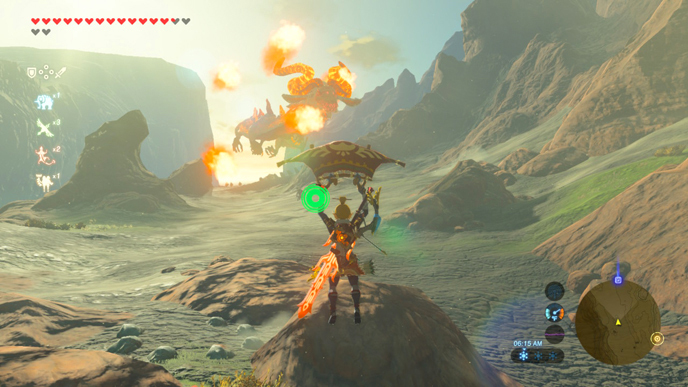 Farosh is probably the most dangerous of the three dragons. 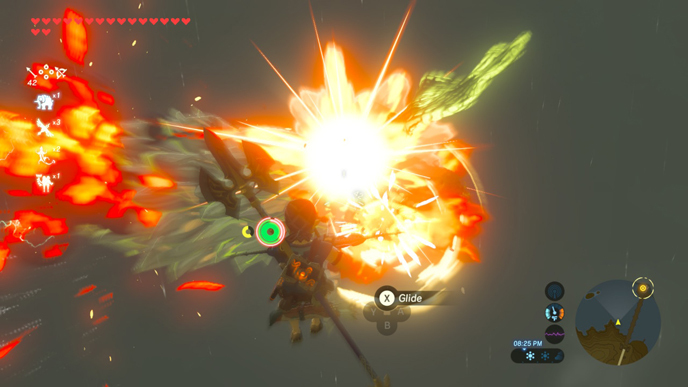 All three use elemental attacks according to their type but Farosh is surrounded by powerful balls of electricity that will easily knock Link out of the air and cause his weapons and shield to go flying. You should first put on the Rubber Armor set and make sure it’s upgraded to at least level 2 in order to prevent electrocution. Strong meals or elixirs will work too. Farosh prefers the waterfalls of Faron. 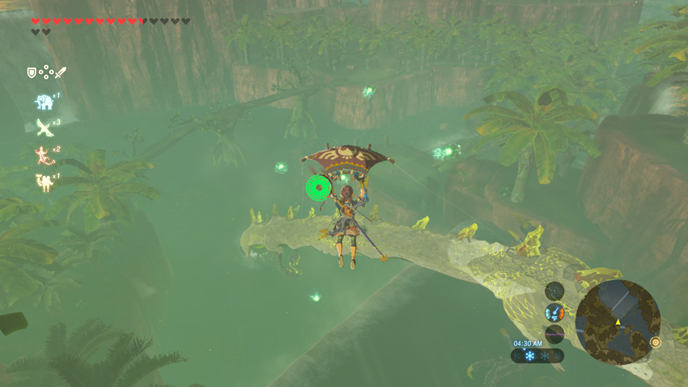 Fast travel to the Shoda Sah shrine and climb up to Riola Spring slightly north. Set up a campfire and wait until 5 AM. Farosh will appear out of the water, accompanied by strong updrafts of wind, and you can use those to sail closer and attack him with fire or ice arrows. 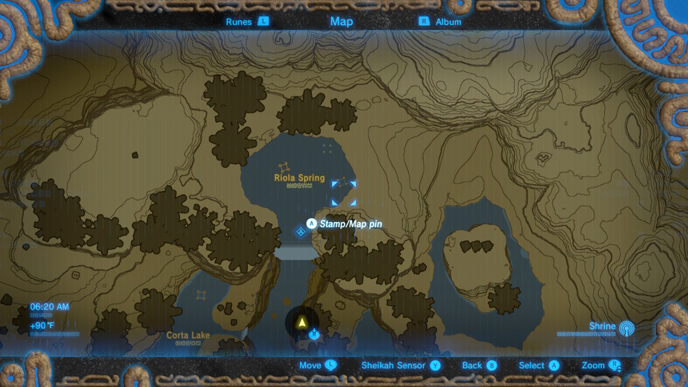 Farosh also spawns at exactly midnight in Lake Hylia, so if you need some extra parts and you’re in the area, there’s always that option too. There are four different parts of the dragon that can break off, and you should aim depending on the specific material you need. You can get a Farosh’s Scale by striking almost any part of the body, but the Claw specifically comes from hitting its claw, the Shard of Farosh’s Horn from hitting one of the horns on its face, and the Shard of Farosh’s Fang comes from hitting its mouth. As the fire-breather of the group, Dinraal poses a challenge, but one that’s easily circumvented with the right armor and consumables. Wear the fireproof armor, the Flamebreaker set, and have healing items on hand just in case you catch some heat. I picked this specific patch of the upper Eldin mountain range, the East Deplian Badlands, and chose that as my campfire point. 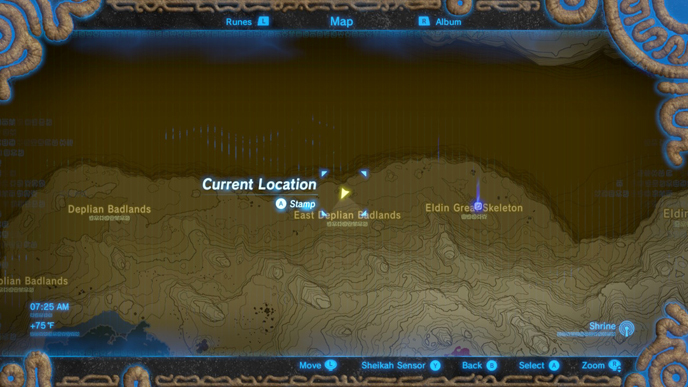 At 5 AM, Dinraal appears in the east, around the Eldin Great Skeleton, and heads west. I was easily able to shoot him from the ground, but the strong updrafts of wind were easy to catch, too. Ice and electric arrows did the trick. There are four different parts of the dragon that can break off, and you should aim depending on the specific material you need. You can get a Dinraal’s Scale by striking almost any part of the body, but the Claw specifically comes from hitting its claw, the Shard of Dinraal’s Horn from hitting one of the horns on its face, and the Shard of Dinraal’s Fang comes from hitting its mouth. In addition to the final stage of the Barbarian Armor set upgrades, parts of the three dragons also factor heavily into the upgrades for the Armor of the Wild set, so stock up as much as you can. With the campfire, it should be easy to farm materials several times over until you get everything you need.